November 12-15, 2018 International Community Tourism Building Communities. Mandeville, Jamaica, W.I. November 30, 2018. 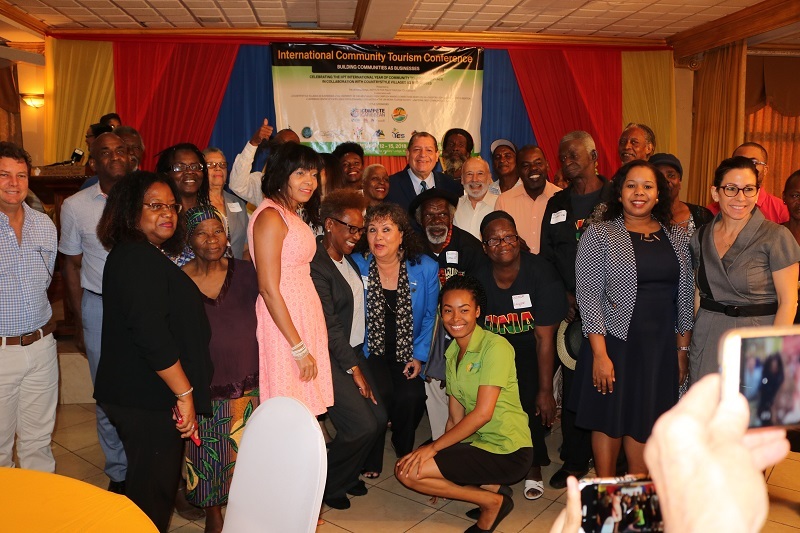 The recently held International Institute for Peace Through Tourism (IIPT) International Community Tourism Conference themed: Building Communities as Businesses, was staged at Mona Visitor’s Lodge, UWI, Mona, November 12-15, 2018 in Jamaica. The four-day event commemorates 2018 as the ‘International Year of Community Tourism & Peace in collaboration with Country style Villages as Businesses’ which represents 40 years of Community Tourism. The well-organized international conference was Chaired by Mrs. Diana McIntyre-Pike, President, Country style Villages as Businesses and IIPT Caribbean and Co-chaired by Mrs. Gillian Rowlands, Vice President IIPT Caribbean, Master of Ceremonies and Mrs. Valerie Dixon, VP Countrystyle Villages as Businesses. The Conference was supported by title sponsors Compete Caribbean and Caribbean Tourism Organization (CTO), representing Caribbean governments. The International Conference was presented by IIPT International Community Tourism Network in association with Country style Villages as Businesses, The University of the West Indies Open Campus, Making Connections Work Ltd UK, Diaspora Connect 2022, YES Foundation, Caribbean Centre of Excellence for Sustainable Livelihoods, National Best Communities Foundation and The UWI Mona Tourism Society. Outstanding presentations were well received from UWI lecturers Dr. Carolyn Hayle, Dr. K’adamawe K’nife and Professor Ian Boxill, Vice Principal UWI and Chairman Countrystyle Villages as Businesses. Compete Caribbean/Caribbean Tourism Organization shared their community-based/sustainable tourism programme for the Caribbean region. Coldwell Bankers one of the main sponsors, Charles Town Maroon Council, Treasure Beach Community Tourism displays were just a few examples on exhibit. Dr. Louis D’Amore, Founder & President International Institute for Peace Through Tourism (IIPT) was the Opening speaker. 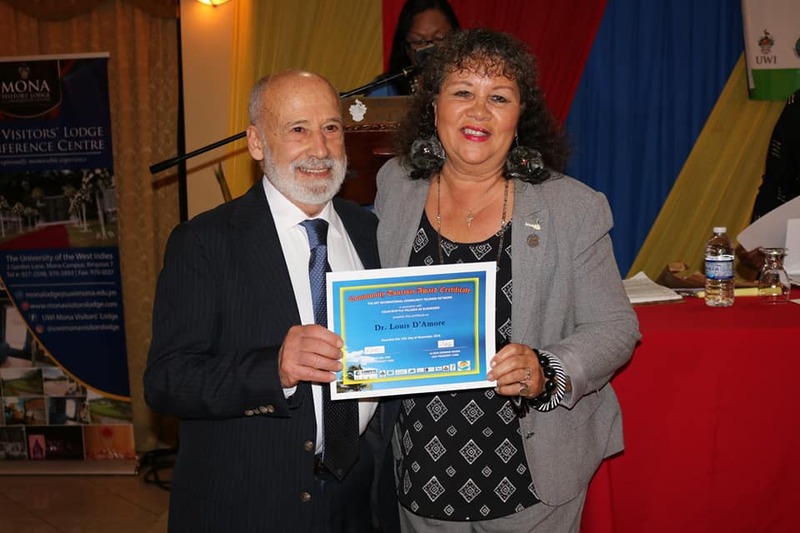 His presence was impactful because he chose to attend the International Conference in Jamaica instead of the highly acclaimed World Travel Market in London. Days before the IIPT International Community Tourism Conference, Jamaica Tourism Minister, Hon. Edmund Bartlett was awarded the International Institute for Peace through Tourism (IIPT) “Champions in Challenge” Award honoring leaders who have overcome exceptional challenges exhibiting leadership in their words & deeds on November 8, 2018, in London. 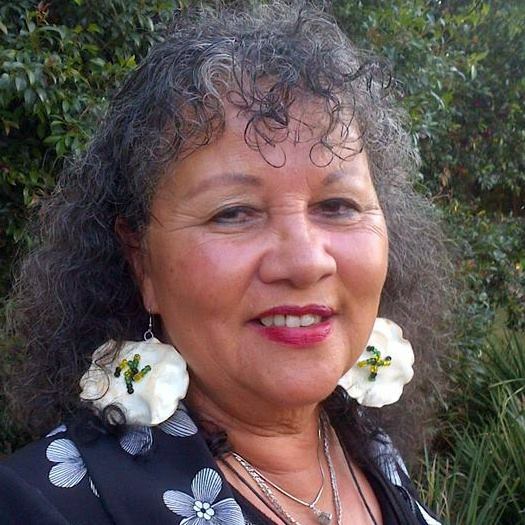 Community Tourism pioneer, Diana McIntyre-Pike’s opening statement called on communities to become independent through entrepreneurship, education, and training. Community lifestyle experiences, ‘pick a project and ‘adopt a project’ adds value to visitor experiences. “People don’t want something set up for visitors; they want to enjoy us as Jamaican people.” She continued in saying “this conference was an important one to show the economic benefits of developing rural and urban communities as businesses to promote and attract investment opportunities for local entrepreneurs in their environment through training and education, which we can provide from the Academy for Community Tourism (ACT) in partnership with the UWI Open Campus.” She concluded in thanking the UWI Open Campus for granting the Community Tourism Hospitality Entrepreneurship training programme accreditation by UWI Open Campus. During the early part of his speech, Dr. D’Amore took the opportunity to highlight Diana McIntyre-Pike’s distinguished achievements in Community Tourism, reflecting on how she branded ‘community tourism’ along with her late Community Tourism partner Desmond Henry. He spoke of her numerous awards totaling over 30 some which include appointment by the Jamaican government to the Order of Distinction for Tourism and Community Service, Virgin Holiday Responsible Tourism Award at World Travel Market for the Best Personal Contribution to the world jointly with TUI and IIPT Lifetime Achievement Award. The Man of Peace, Dr. D’Amore, recounted a history of wars and conflict on the planet noting “as of 2015 there were 50 ongoing conflicts in the world, and it is estimated that 90% of current war casualties are civilians, the majority of whom are women and children”. Led by the conviction of no more wars, Dr. Amore has passionately engaged in activities to increase peace parks with the goal of 2000 international peace parks circling the earth by Nov. 11, 2020. Over the years, IIPT has continued to dedicate peace parks as a legacy at international conferences. He highlighted when Mandeville Jamaica became the first IIPT Peace Town with the first Peace Park in the Caribbean in 2013, along with Treasure Beach as the first IIPT Peace Village and Peace Park. 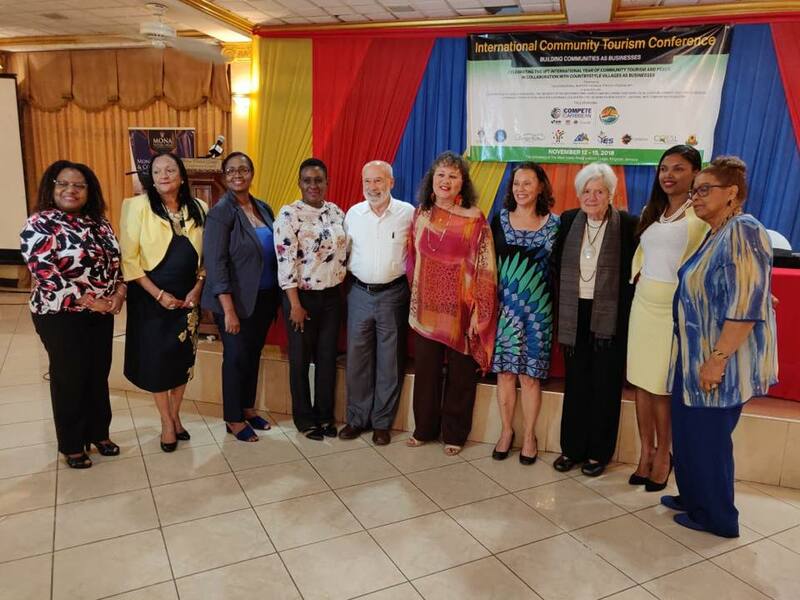 The UWI, Mona Tourism Society, featured in their presentation their commitment to launch the UWI Community Tourism Network in 2019 with the support of Countrystyle Villages as Businesses and the IIPT International Community Tourism Network. They assisted the conference as volunteers, which enabled them to learn a great deal more about community tourism.